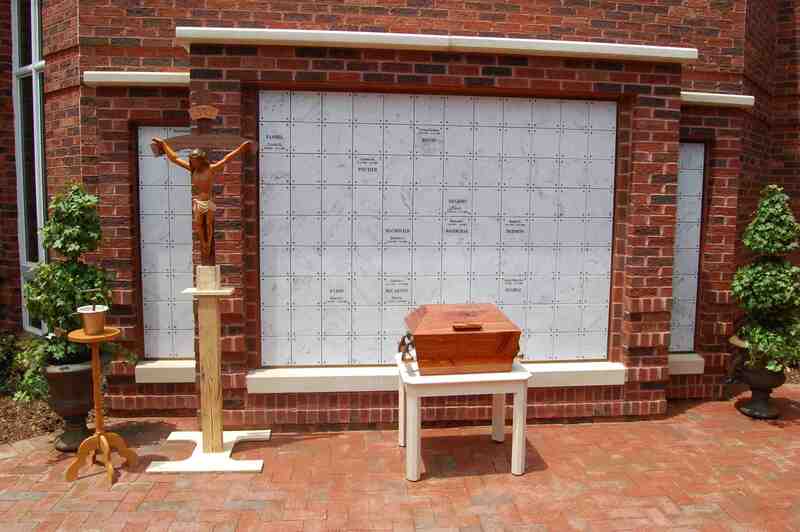 The columbarium at St. Vincent de Paul is located on the grounds between the church and the activities center. There is a prayer garden with benches and a fountain where we invite family and friends to offer prayers for the deceased. Unfortunately, at this time all units have been sold.